MARSK Certified Organic Eyeliners can be worn all day and all night and they won’t slip off the eye (don’t you just hate it when that happens?). We love doing a fun cat eye or blending them with our gorgeous MARSK Mineral Eyeshadows to create an awesome smoky eye. The added benefit with these wonderful liners is the delicious ingredients in them that have earned them an Organic certification, yummy! 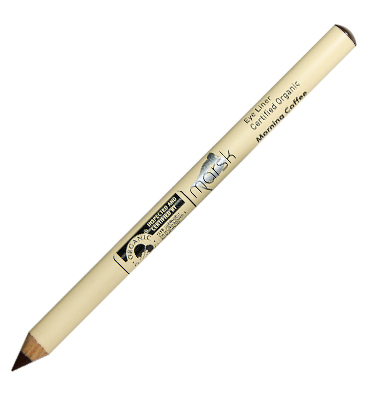 MARSK Certified Organic Eyeliners work best when sharpened before each use. 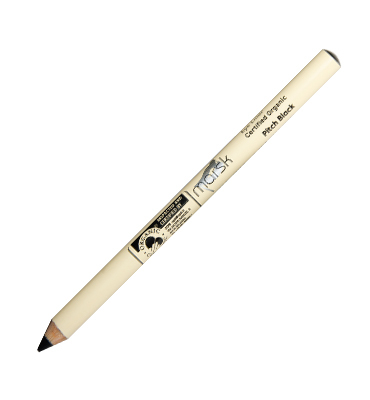 They have also been designed to work specifically with our MARSK Mineral Eyeshadows so blending is not a problem! Gently glide the pencil on the edge of the lash line and you can apply to the top, bottom or both! Ctyldodecyl Stearoyl Stearate; Hydrogenated Palm Kernel Glycerides; Hydrogenated Vegetable Oil; Almond (Prunus Amygdalus Dulcis) Oil; Carnauba Wax; Ctyldodecyl Stearoyl Stearate; Hydrogenated Palm Kernel Glycerides; Hydrogenated Vegetable Oil; Almond (Prunus Amygdalus Dulcis) Oil; Carnauba Wax; Black Lovage (Olus) Oil; Candelilla Wax; Mica; Sesame Seed (Sesamum Indicum) Oil, Hydrogenated Palm Glycerides; Polyglyceryl-3 Diisostearate; GlycerylCaprylate; Vitamin E (Tocopheryl Acetate); Sorbic Acid; Iron Oxide(CI 77499); Titanium Dioxide (CI 77891). *palm oil is sourced from a manufacturer that adheres to the code of the Roundtable of Sustainable Palm Oil (www.rspo.org), which does NOT harm or interfere with orangutans. Product Image Coming Soon Certified Organic with the European Certification Body “Organic Cosmetic” MARSK’s liners are produced in Europe.